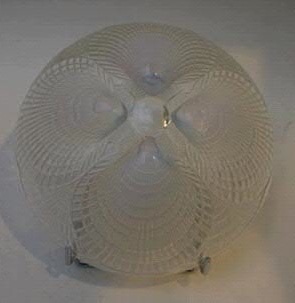 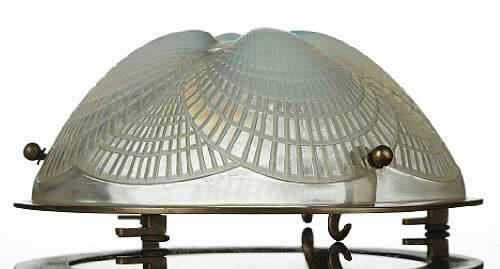 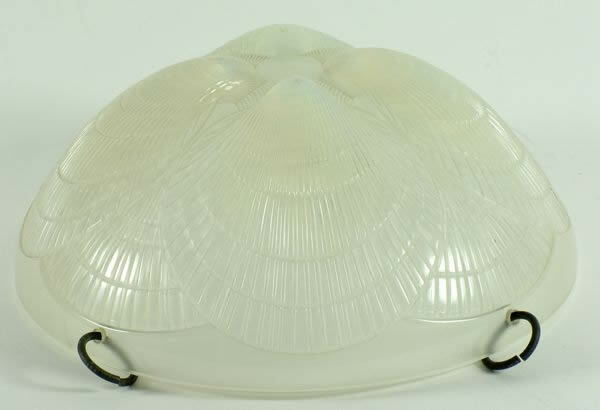 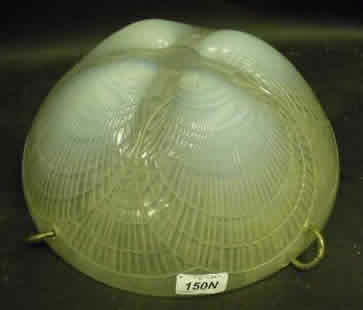 Rene Lalique Coquilles Chandelier information and photos at RLalique.com are tied together on this main Coquilles Chandeliers page. 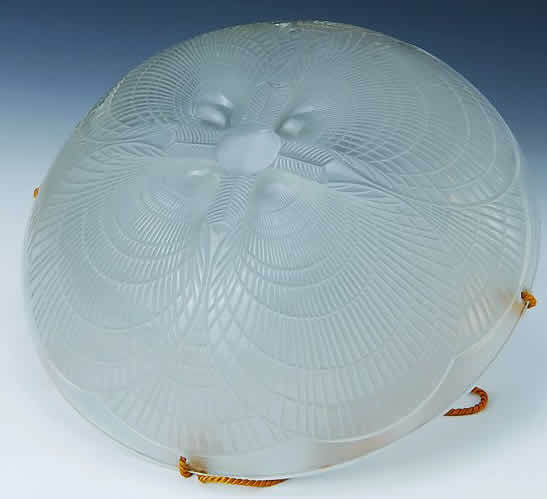 Past and future auctions, historical details, sales, copies, reproductions, articles and more are all accessible from here. 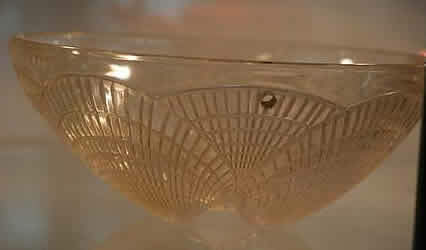 This page grows as more info is added to the website. 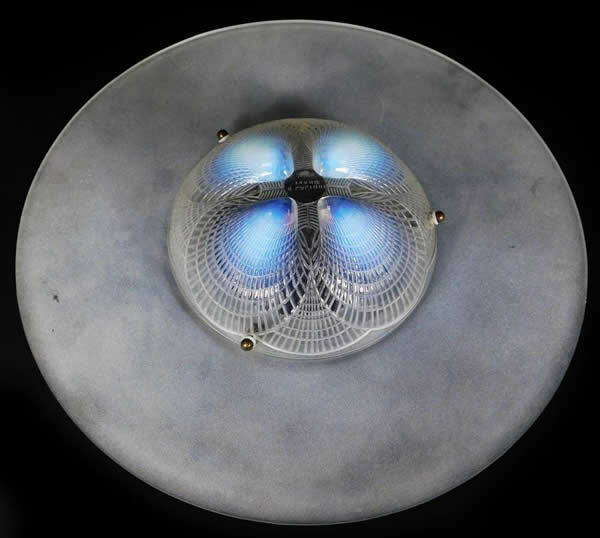 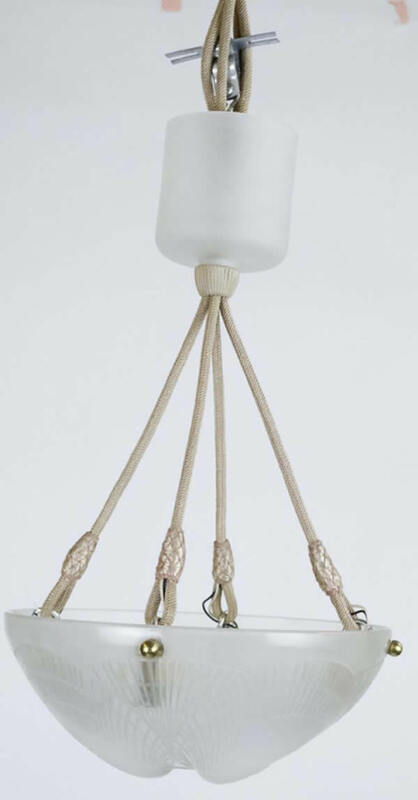 Note: There is only 1 hanging light fixture model of this design. 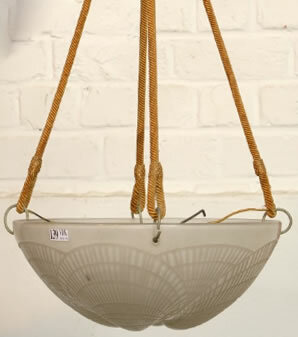 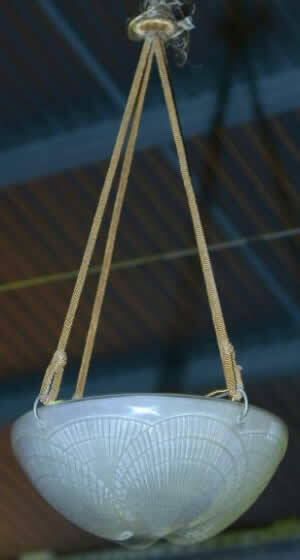 It has 4 holes for hanging cords and is approximately 30 cm wide. 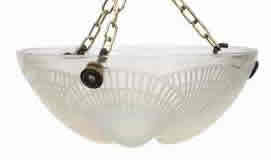 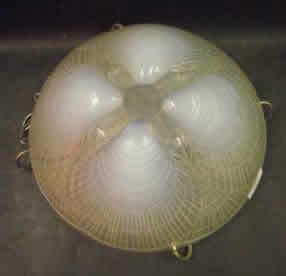 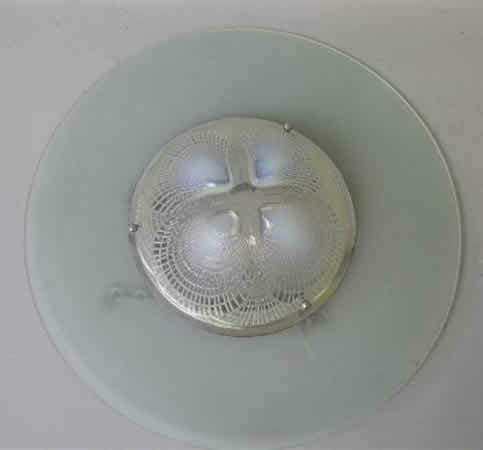 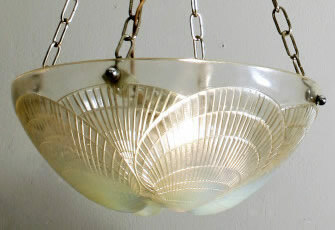 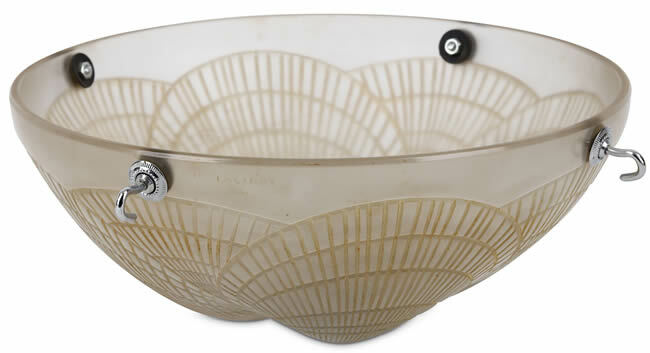 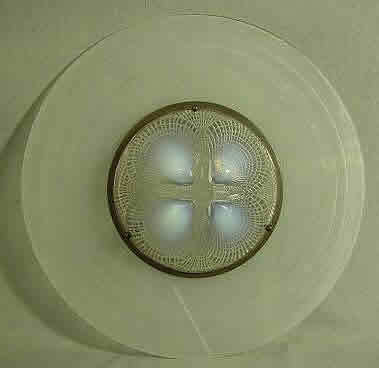 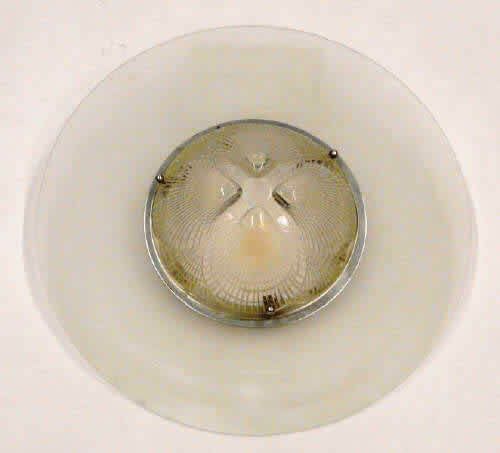 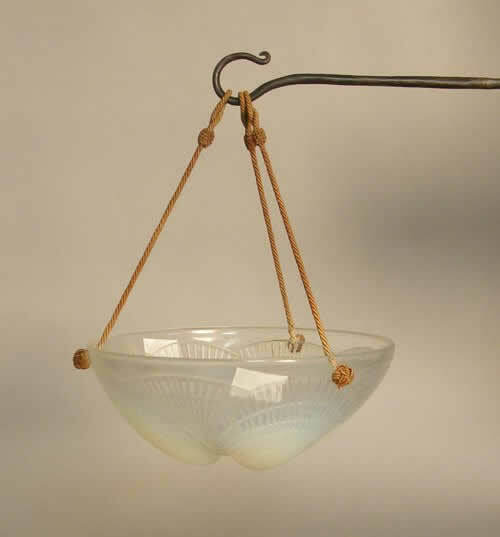 Hanging fixtures with 3 holes or that are of any smaller size are conversions of bowls. 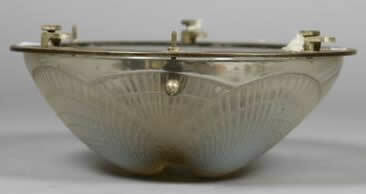 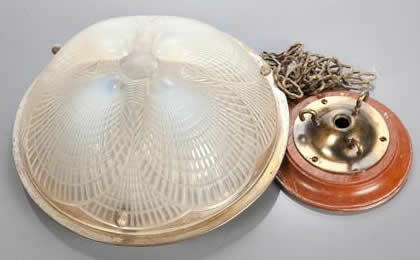 There are also 30, 24, 21, 18, 16, and 13 cm wide Bowls, as well as both 30 cm wide Wall Sconces and 20 cm wide Corner Sconces. 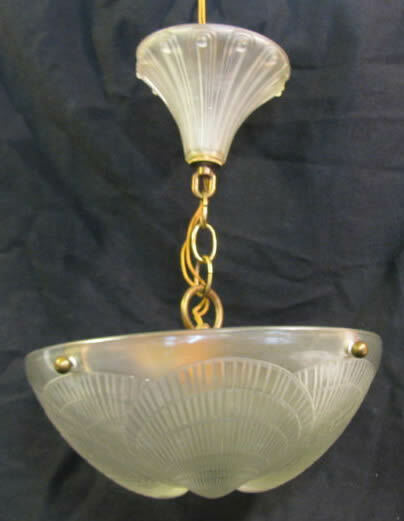 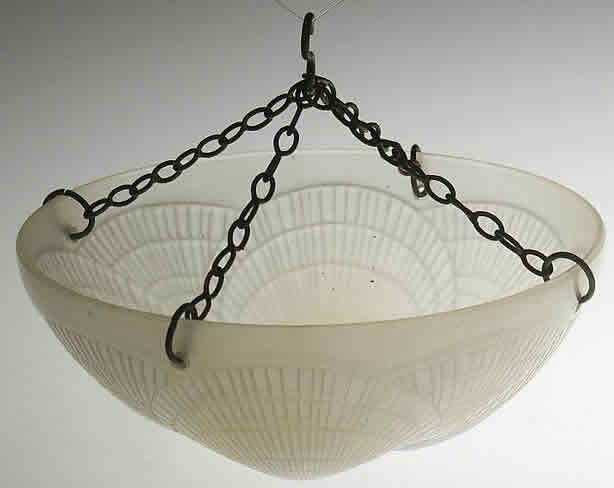 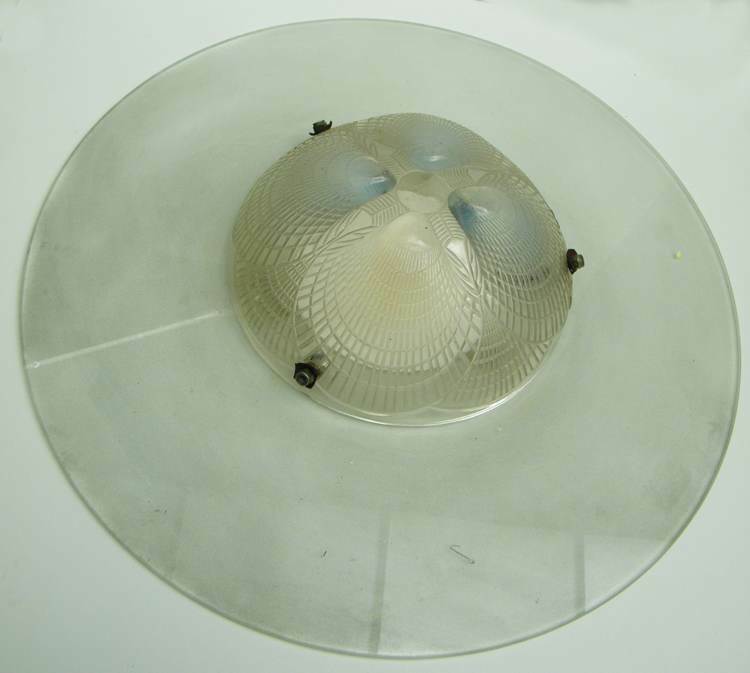 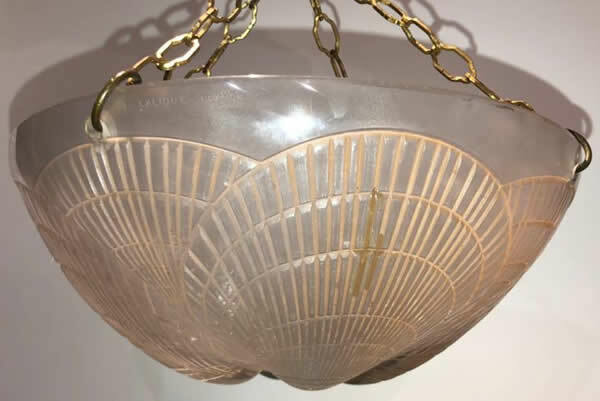 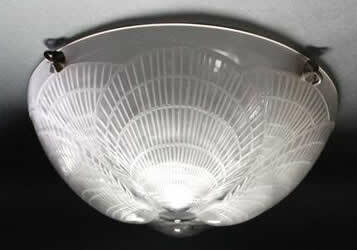 Further down the left column are other size and model number chandeliers of this design, all made from later converted bowls, including different shapes if applicable to this model. 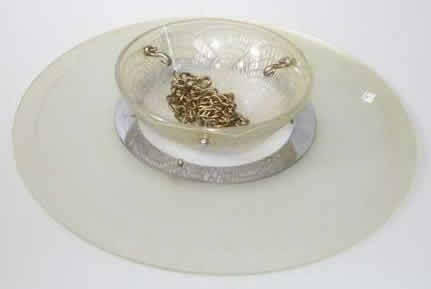 Other Sizes And Model Nos.